Well, well, well, another year over… a new one just begun. I’ve been a bit slack on posting, drawings and everything else creative the last few months, due to a change in work, with more hours and being exhausted from learning again – but it has been great. And after a few days break, I’m feeling revived and ready to face the new year. 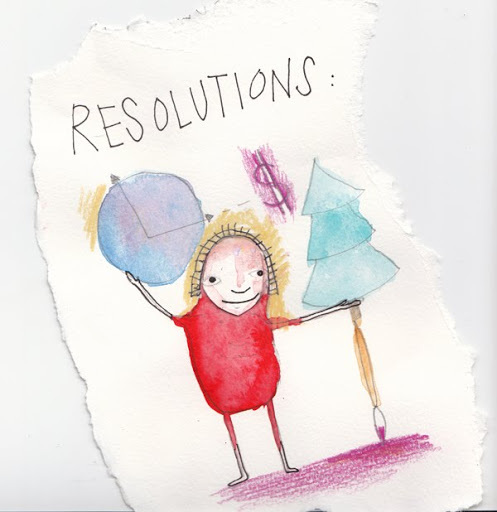 For this week’s post I’ve thought about my collection of art-related resolutions, such as spending more time and money on art (not feeling guilty about buying supplies and different memberships, that sort of thing, getting more time in nature (a long term plan – but going to make it happen this year! Good fodder for creative inspiration) and finally, of course, to make more art. Back on track. I think that is a wonderful resolution. Do art with out guilt. You deserve it. Thanks Midnite… You are right, we are right. Go forth and art-make!